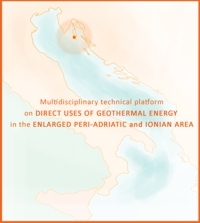 The basis of this platform have been laid during the XIV ECSAC International Workshop on “STATUS AND FUTURE OF THE GEOTHERMAL ENERGY IN THE PERI-ADRIATIC AREA” that took place in Veli Lošinj, Croatia, from Monday the 25th to Wednesday the 27th August, 2014. 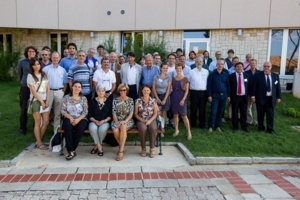 The workshop was organized by supported by the Trieste International Foundation for the Progress and Freedom of Sciences (hereinafter FIT International Foundation of Trieste), the European Centre for Science Arts and Culture, the University of Trieste, and the Unione Geotermica Italiana. Downloadable presentation files (.pdf) are already available below on this site. The final document of the Proceedings of the 2014 Losinj Workshop can be downloaded from the “Media” section of the Lussino Event! 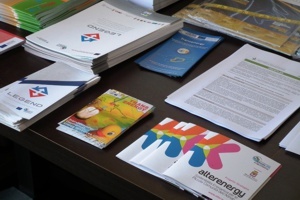 The kick-off event was funded and supported by a group of relevant national and international institutions (public services, scientific research, cultural, …) and environmental companies that contributed as a whole to the positive workshop outcome. They represent the technical community of this geothermal platform and are, de facto, a cluster of partners and stakeholders already in connection. This community has multidisciplinary knowledge, technical know-how and expertise from investigation up to project realization and management. The International Foundation of Trieste (Italy) is the owner of this webpage and is one of the leader of the technical community. This virtual network connects lots of countries, as just an example, Belgium, France, Germany, Switzerland, Slovenia, Croatia, Czech Republic, Bosnia and Herzegovina, Greece, other than of course Italy. Several students from the Universities of Trieste, Chieti (ITALY), Ljubljana (SLOVENIA) and from the Technical Institute of Bijeljina (BOSNIA AND HERZEGOVINA). Some Freelance Geologists (Klingendrath A., Molinari F.C.) are already in connection within the ADR.JO. Geothermal platform. Here you can download the Lussino 2014 conference speaker’s Face’s Book (files .pdf). This section will list reference and existing projects and interesting sites, having in common themes (geothermal and renewable energies) or geographic area of application. Here below just a first list of some projects and sites (listed in a simply alphabetic order) that will be increased progressively.